Before I started culinary school, if someone had asked me if there was an ingredient that I felt uncomfortable with or really wanted to learn about, I probably would have said yeast. I’ve always loved the smell and taste of freshly baked bread but the thought of making homemade bread always intimidated me. But the truth is that once you learn the basic dos and don’ts of using yeast, you can use it to create the most delicious freshly baked goods that will surely impress your friends and family. Yeast is alive and it is because of the activity of millions of individual yeast cells that we are able to make risen breads. It is technically not a plant nor animal, but a fungus. Although leavened bread has been around for centuries, it wasn’t until the nineteenth century that Louis Pasteur identified yeast as the cause of fermentation- the process central to not only bread-making, but also brewing and wine-making. Originally, a single strain of the species Saccharomyces cerevisiae was used by both bakers and brewers, but later, various genetic strains were developed to better suit the different uses (1). Today, the major strains of bakers’ yeast are all different strains of Saccharomyces cerevisiae. In the fermentation process, yeast feeds on sugar and converts it to carbon dioxide, also producing smaller amounts of other substances like alcohols, ketones, and aldehydes. The carbon dioxide bubbles are caught in the gluten network, the protein mesh which is formed when flour and water are mixed together. 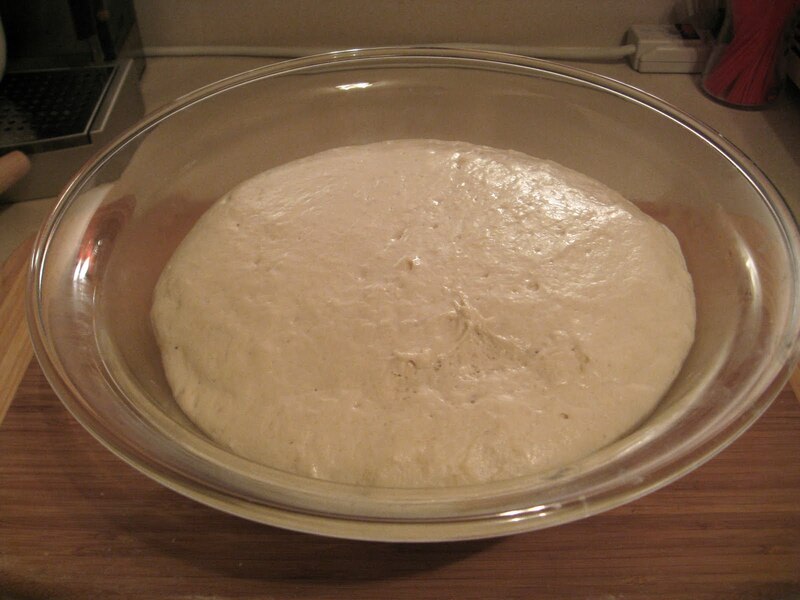 This causes dough to rise as it rests on the counter (a process called proofing) as well as in the heat of the oven. The chemicals also contribute to the complex flavor of yeasted breads. Yeast comes in a few different forms- fresh/compressed yeast, active dry yeast, instant active dry yeast, and osmotolerant instant active dry yeast. Fresh yeast is the most traditional form used by bakers and produces the greatest leavening effect. It has a shorter shelf life than dry yeast and requires no hydration time (it dissolves instantly in water). Active dry yeast, the variety more commonly found in grocery stores, must be hydrated in warm water, ideally 110 degrees, for 5-10 minutes (this is called lag time). The temperature of the water is important because if the water is too hot or too cold, the yeast will die (yeast is killed instantly at 140 degrees). It should be warm to the touch. Instant active dry yeast works faster by eliminating the rehydration or lag time, and in most cases can be mixed directly with the flour. Osmotolerant instant active dry yeast is primarily used in low-moisture, high-sugar dough. Be careful if a recipe calls for one type of yeast and you want to use the other. The basic conversion is: 2/3 oz. fresh yeast is equivalent to 1/4 oz. dry yeast. 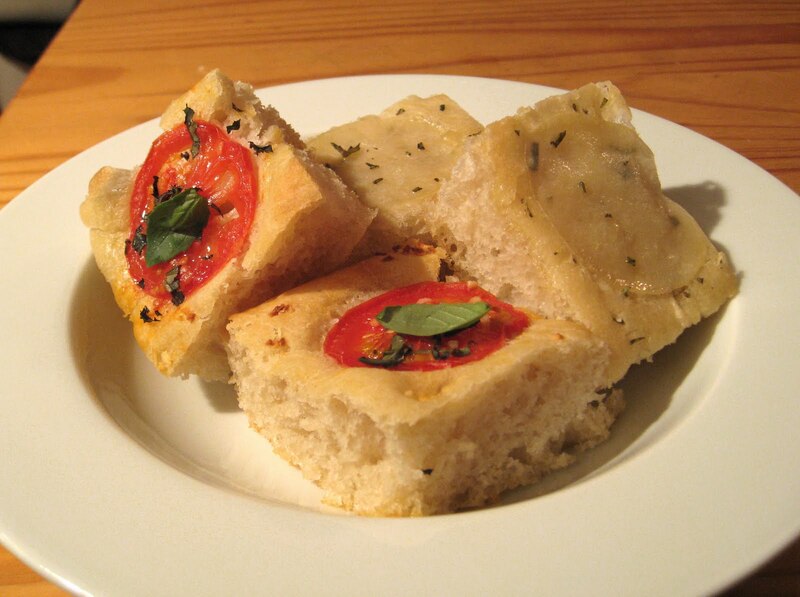 The recipe below is for focaccia- an oven-baked Italian bread that can be topped with a wide variety of ingredients. It is a popular snack food in Italy and can also be used as a side dish, as a base for pizza, or as a bread for sandwiches. Traditional focaccia just has olive oil, fresh herbs like rosemary, and coarse salt sprinkled on top. But the toppings you can use are limited only by your imagination- try it with sliced vegetables, cheese, caramelized onions or anything else you can think of. The easiest way to make focaccia dough is in a stand mixer, but if you are sans mixer like myself, you can use a hand mixer on the lowest speed setting. Whisk the flour and salt together in the bowl of a stand mixer. In a separate bowl, whisk together the warm water and the yeast and let sit for 5-10 minutes (if using instant active dry yeast, you can eliminate the resting time). Whisk the oil into the water/yeast mixture and then pour the liquid into the dry ingredients. Mix on low speed until the ingredients are combined and the dough is smooth, about 2-3 minutes. It will be very soft and sticky. 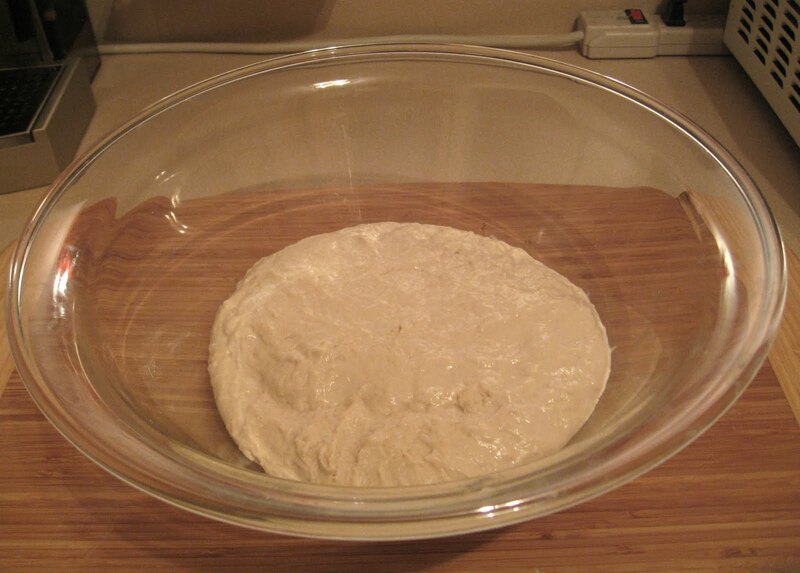 Cover the dough with plastic wrap and set it aside on the counter to ferment until the dough doubles in size, about 30 minutes. Spread a generous amount of olive oil on a half-sheet pan (12x16-inch) and turn the dough out onto the pan. Coat your hands with some oil to prevent sticking, and stretch the dough to the edges of the pan. Pierce the dough all over with your fingertips, making deep indentations. This process is called dotting the dough. Brush the surface with olive oil and add your desired toppings. Sprinkle with coarse salt. Cover with plastic wrap and set aside in a warm place to proof until doubled. I decided to make half of my focaccia with tomato, basil, and garlic and the other half with potatoes, rosemary, and garlic. Spread the minced garlic over the entire surface of the dough. Then on one half, arrange the tomato slices over the top. On the other half, sprinkle on some rosemary, then arrange the potato slices over the top. Sprinkle some more rosemary on top. 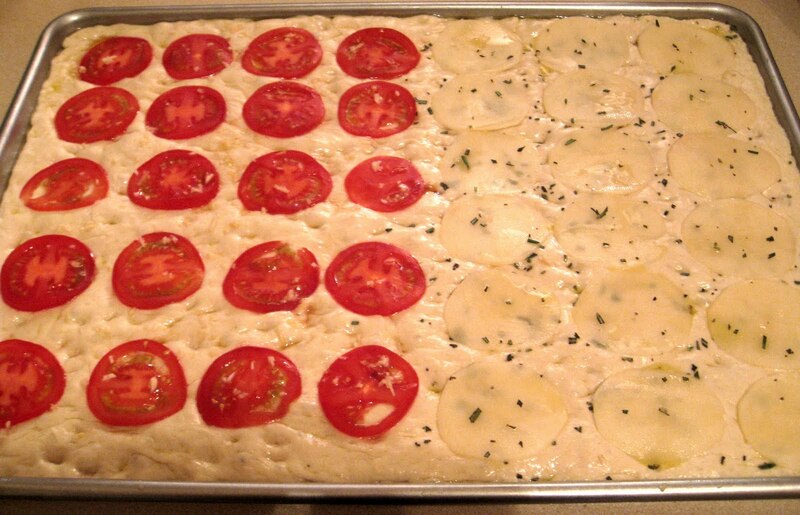 Bake the focaccia in the oven at 450 degrees for about 20 minutes, until it is a light golden color and cooked through. If using fresh basil, sprinkle it on about a minute before you take the focaccia out of the oven so that it doesn't burn. Slide the focaccia onto a wire rack and cool before cutting into pieces and serving. (1). Amendola, J and Rees, N. Understanding Baking: The Art and Science of Baking, 3rd edition. New Jersey: John Wiley & Sons Inc, 2003. Love focaccia and make it all the time! If you have a Cuisinart or robot that works well also! Thanks, KC! Great idea to use a Cuisinart- I love using mine! I never make focaccia but am now inspired to try! Love tasty topping, too!